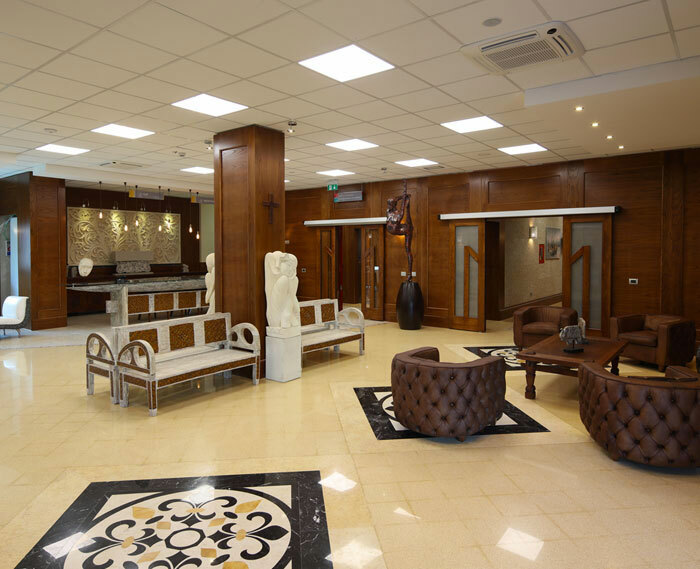 HOTEL’S COMFORT Inside the structure, there are two operating blocks, for a total of 5 operating rooms, an endoscopic room and 2 surgical surgeries. Healthcare will be entrusted to over 120 employees, including doctors, nurses and auxiliaries, who will support the numerous teams of specialists, 24 hours a day, every day of the year. Has been created a place of care, where everything has to be more effective, more functional, safer. 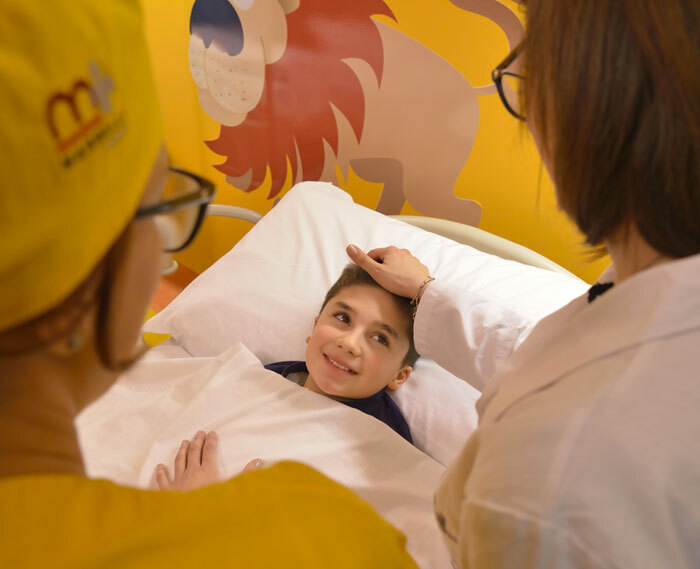 The physical and psychological fragility of the patients imposes the necessity of impeccable hygiene, essential services to minimize discomfort, fundamental for the quality of life of guests and operators. 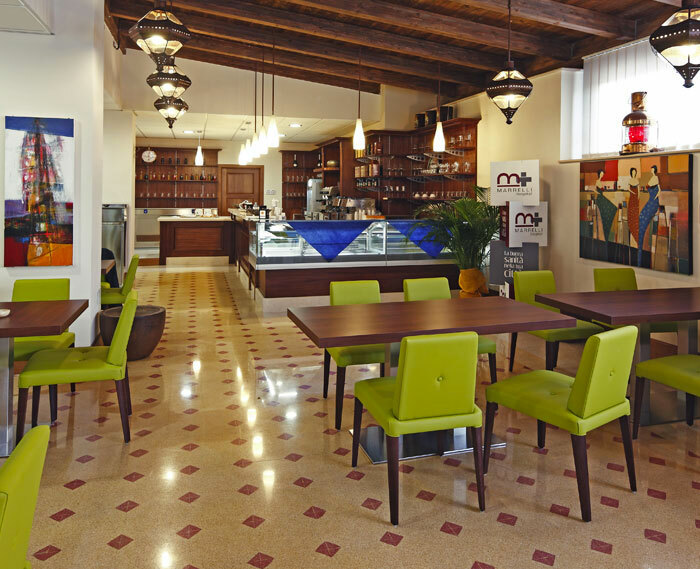 The attention to details concerns every aspect and so next to the rooms there is a cozy; Cafeteria; rooms spaces are comfortable, where guests and patients can enjoy a rich variety of delicious menus in full harmony with their needs, with 40 seats. Here you can enjoy the dishes produced directly from the structure, for a snack break but also for a complete lunch. The daily requirement for the kitchen of the structure of oil, meat, milk and dairy products, fruits and vegetables, for patients in the nursing home is assured by the genuine productions of the Le Verdi Praterie Farms of the same company group. Marrelli Hospital is a Senology Center with a diagnosis unit for treatment and rehabilitation, the equipe and specialists have a careful look to assure the best assistance and solution for women who want to prevent or deal cancer. The patient will immediately be inserted in an integrated path that expects the presence of the all figures and equipment necessary to ensure the best assistance for the entire care process. 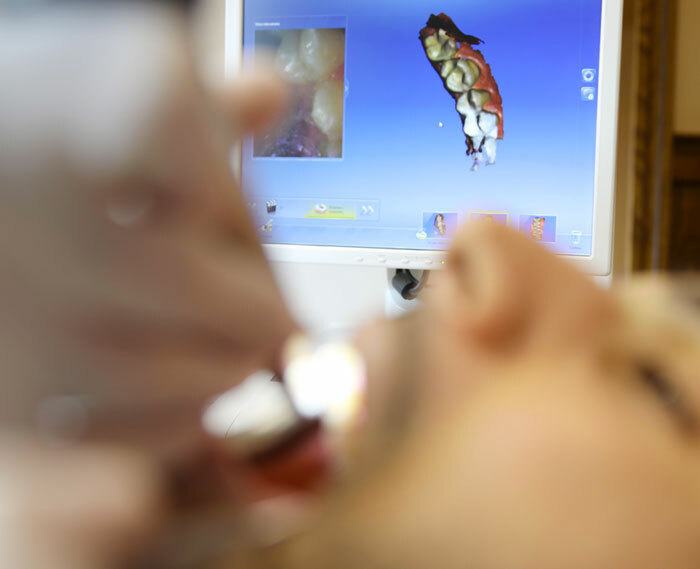 At the end of the diagnostic process our specialists: radiologists, pathologists, surgeons, oncologists, psychologists and eventually plastic surgeons and rehabilitation doctors will have a careful look and propose the best solution to the problem. 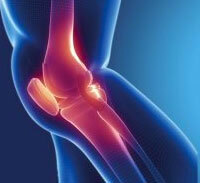 Is important to start that pain cannot be “always” cured, but it is certain that it can be cured. That requires timely intervention to take care of the patient on a therapeutic, psychological and social level, involving different professionals and trained volunteers who respond fully to the needs of the individual and his family. 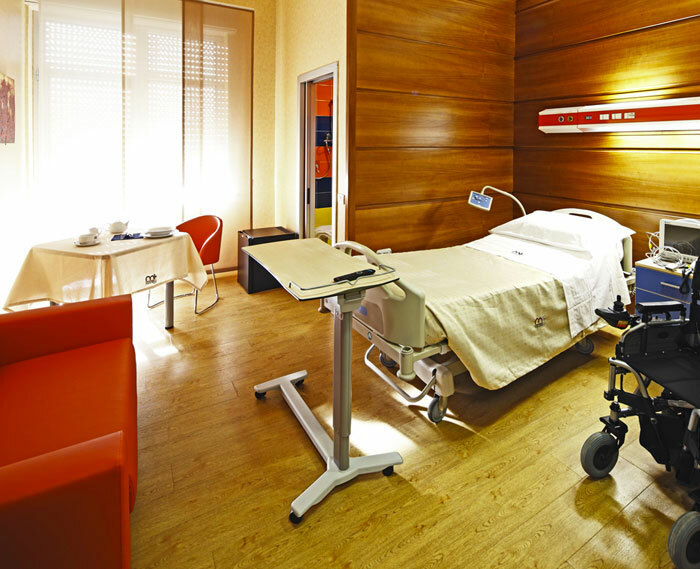 MARRELLI HOSPITAL is the Center The center of Palliative Pain and Care Therapy, offer a whole treatment path and take care of people with pain disease in all its forms (diagnosis, treatment, follow-up and psycho-social rehabilitation). It represents a reference center for diagnosis and treatment of acute and chronic pain and palliative care for patients with greater care complexity and in the phase of symptom decompensation. 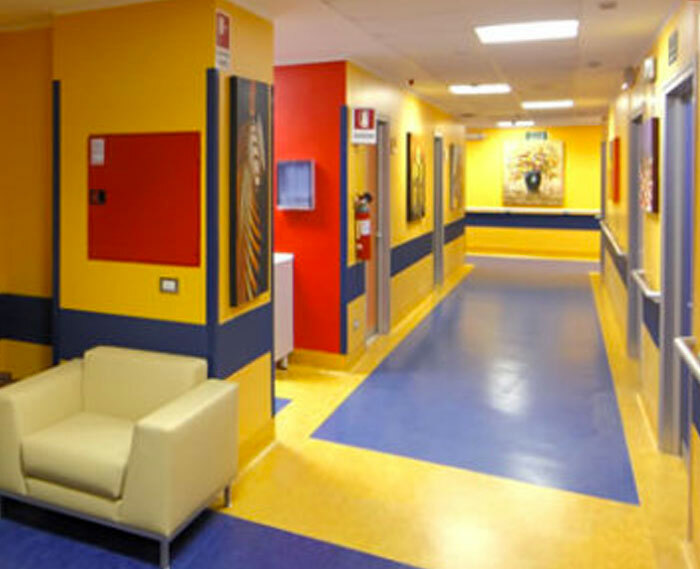 It is a multidisciplinary structure located near the operating block inside MARRELLI HOSPITAL, with its own organization and management, with ordinary hospitalization, Day Surgery, specialist multidisciplinary outpatient center, operating room for minimally invasive activity, psycho rehabilitation -social and possible home support. 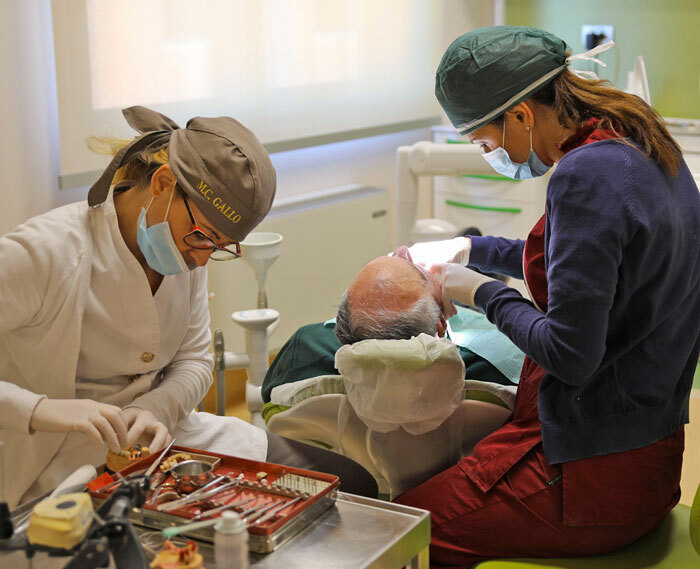 CALABRODENTAL is the largest private healthcare facility dedicated to oral care. 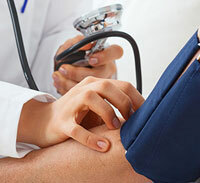 Provides a public service through the National Health Service for about 40 years. 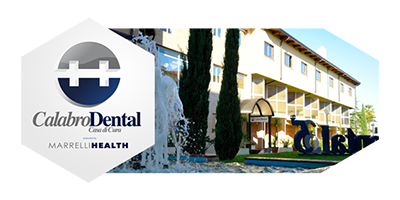 With large and modernly equipped rooms, it is able to offer users all the services related to the dental branch and maxillofacial. Since 2005 it has also been providing a day surgery treatment with over 70% of users coming from other provinces and other regions. 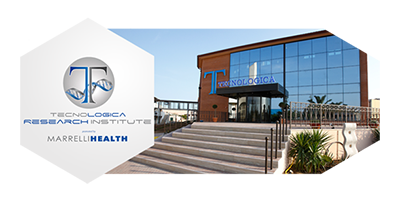 Inside the Dental Center, there is a research center applied to medicine (TECNOLOGICA Research Institute), for experimentation with new technologies that have a clean room for cell manipulation (unique in Calabria). In collaboration with important universities and international research centers, in recent years it has carried out brilliant initiatives in the field of bone and tissue regeneration and excellent results in the field of stem cells biology. For the specialized medical and technical training, in 2003 a multilevel laminated wood structure that houses the Alkmeon Center. Inside the spaces are available to trainees but also companies that intend to organize meetings with doctors and specialists. 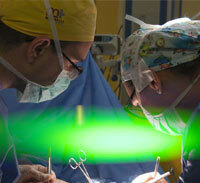 Over 30 national and international medical specialists take care of you. The radiotherapy center of Marrelli Hospital has an agreement with the NHS (National Health System) and offers to oncologic patients the opportunity to undergo highly innovative radiotherapy treatments (IMRT, VMAT, IGRT, Adaptive RT, SRS, SBRT) thanks to one of the most advanced linear accelerators available today, the Linac Elekta Versa HD. The technological equipment of the new radiation therapy center in Crotone consists of an Elekta Versa HD Linear Accelerator (LINAC) capable of delivering beams of photons and electrons at different energies. 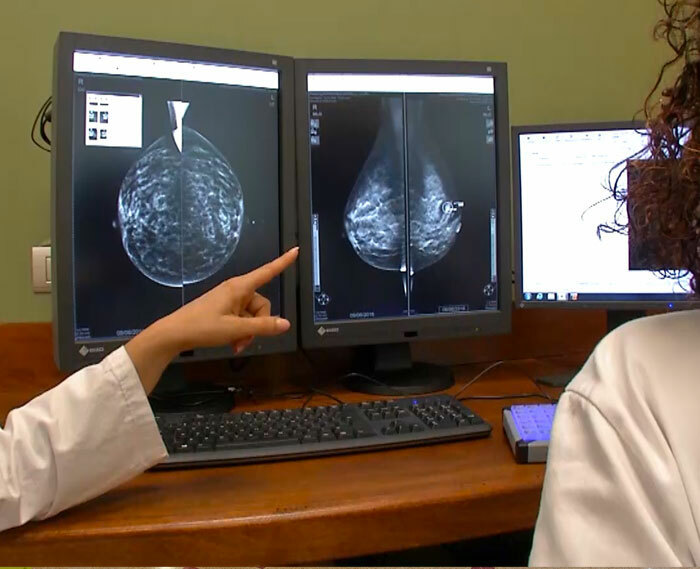 The shape of the beam is made by means of the “Agility” multilamellar collimator which allows distributing the correct radiation to the target tissue while saving healthy ones. LINAC has multiple image control systems such as “Portal Imaging” and “Cone Beam CT”, useful for monitoring the correct position of the target tissue during treatment. For the execution of stereotactic treatments there is a further monitoring system, the Brainlab ExacTrac, capable of detecting, with great accuracy, any possible patient movement. In fact, the HexaPOD evo RT integrated robotic platform is able to automatically correct the position of the tumor to be treated. The platform ensures maximum precision by exploiting the capacity of the bed to move in 6 degrees of freedom. Moreover, thanks to the C-Rad Catalyst respiratory gating system, which is a laser beam projected on the body surface, it is possible to monitor the position of targets located in mobile organs. VERSA HD is one of the most performing accelerators of the last generation in the world able to allow specialists to provide innovative therapies for the treatment of a wide range of tumors in all districts of the body. This accelerator is able to cure particularly complex tumor forms, which require extreme precision in the area to be irradiated. VERSA HD produced by the Swedish company Elekta, one of the first radiotherapy operators in the world, is a particularly versatile integrated treatment system able to respond to the growing challenges in cancer treatment. 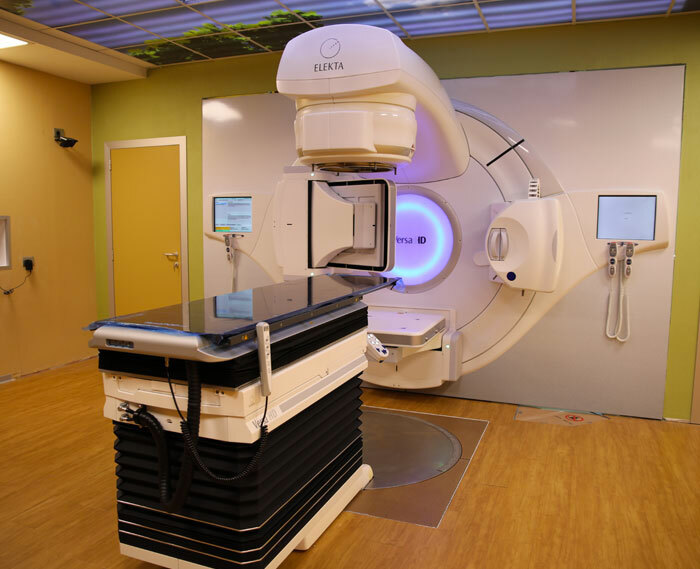 This special machine is able to treat a wide range of neoplastic conditions, offering a very high precision of radiation beam modeling that allows shorter and more effective treatments. VERSA HD is equipped with high-precision technological tools. 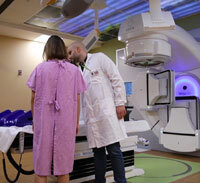 One of these is the Cone Beam TC, which gives the possibility to perform a volumetric CT scan. 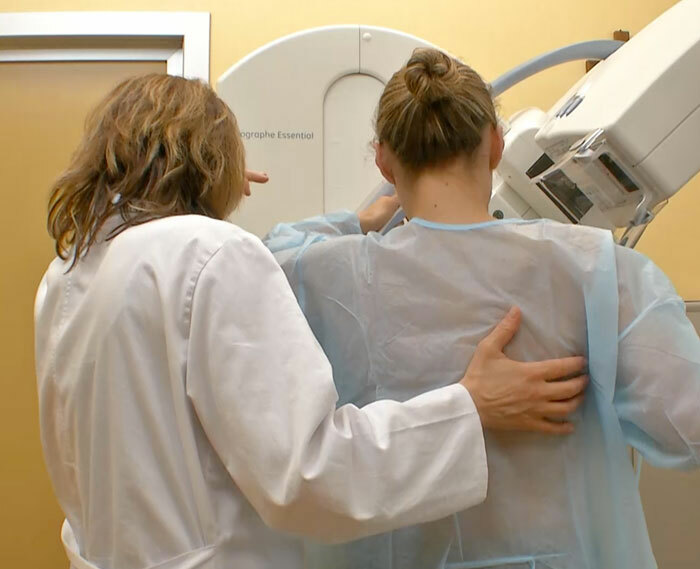 Before each session of radiotherapy, the images that specialists visualize with the patient in the treatment position can be made to coincide with the images scheduled before treatment. All this will allow treatments with errors below 2 mm, therefore absolutely negligible. Patients with cerebral neoplasms of the head-neck, lung, gastric-enteric, hepatobiliary pathways, with gynecological or urological neoplasms will have new possibilities of treatment with the new high-tech radiotherapy center in Crotone. 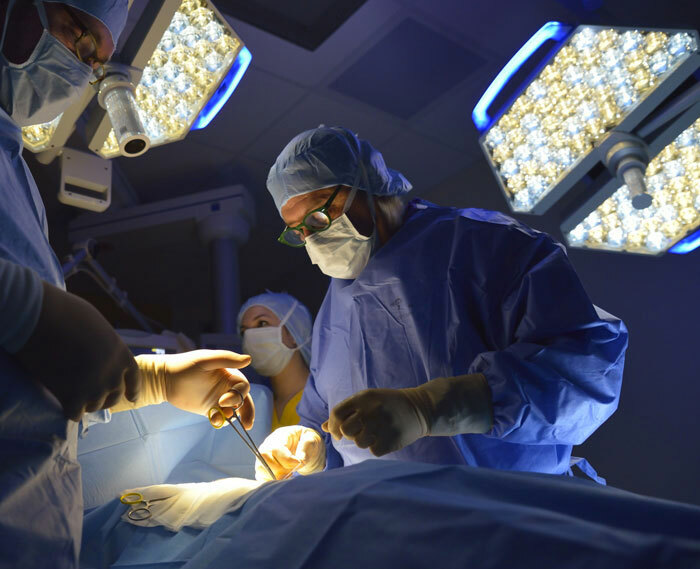 At the Marrelli Hospital, bariatric surgical therapy is successfully performed to treat obesity, thanks to the experience and professionalism of a multidisciplinary team including surgeons, endocrinologists, dieticians, anesthesiologists, psychologists, psychiatrists and dedicated nurses. Until now more than 140 patients have been operated with excellent results, with weight loss up to over 50% of the overweight with a consequent improvement in the quality of life. 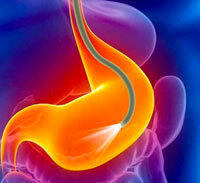 Bariatric surgery is not suitable for everyone because it is necessary to satisfy some requirements dictated by the Italian Society of Obesity Surgery (SICOB); suitable patients must be of legal age and have a Body Mass Index higher than 35 with co-morbidities (arterial hypertension, cardiopathies, musculoskeletal problems, diabetes) or simply a Body Mass Index higher than 40. 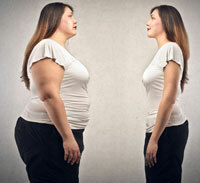 Of all the types of therapy, bariatric surgery is currently the most effective approach to weight loss and long-term maintenance, whose clinical success is guaranteed over time only by an active commitment by the patient during all the way, especially post-intervention. Before dealing with all this, the patient must be fully aware of it and that is why the preparatory phase is so important and requires support and psychological support that many patients underestimate. 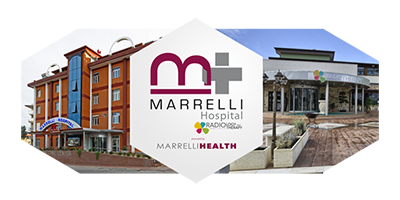 For this reason, Marrelli Hospital is composed of a specialized team (Surgeons, Endocrinologists, Psychologists and Nutritionists) that can guarantee the patient maximum assistance and support both before and after the operation. The diagnostic path to be executed is listed below.